There used to be a time where I slightly feared a Sunday... it was the end of the weekend and who knew what the week ahead would bring? A year or so ago I decided to kick that negativity to the curb and make Sunday a day of self love. Each Sunday I try to do things that make me feel calm, good about myself and also prepared for the week ahead. 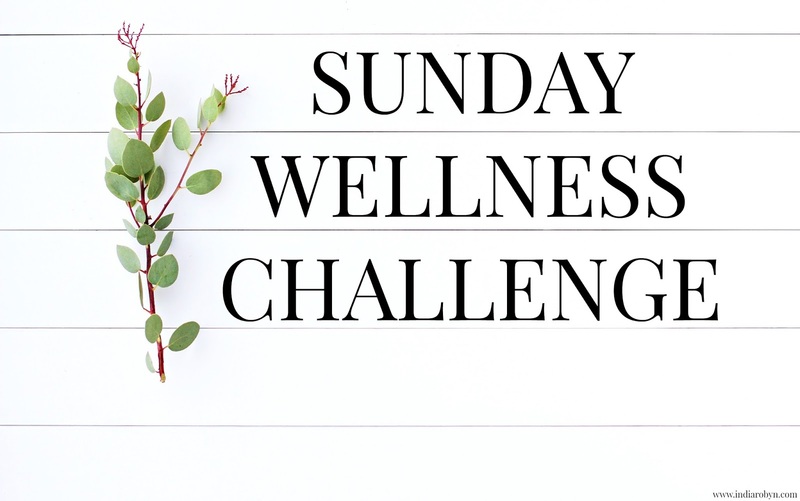 I've decided to create the #SundayWellnessChallenge, which I would love you to get involved in. Keeping busy on a Sunday is a great way to keep your energy levels up and to stop those Pre Monday blues from creeping in. Why not run a few errands that you have on your mind, or perhaps do a spot of de-cluttering? It may not seem the most appealing way to spend your day of rest, but it will definitely create a much needed sense of calm once you're done. Most of us work indoors throughout the week, so the weekend is a nice time to get outside and connect with the natural elements. Getting outdoors is proven to boost your body's production of Vitamin D, which naturally makes us feel more chirpy. Making time for "you" is so important, but on a Sunday you might actually have the time to put it into practise, especially if you have a hectic weekly schedule. Whether you like to delve into a book, put your favourite movie on, cook up some of your favourite recipes or get your blog on like me, Sunday is a great day to focus on you. Making a "Sunday Evening Ritual" will help you zen your mind, soul and body before the week ahead. This could involve a long relaxing bath with your favourite bubbly goodies or oils, a mini facial or even a luxe sensory shower experience. We all need a pick me up and what better night to invest in a little self love. Going to sleep isn't always easy, especially if you have the week already on your mind. Keeping a gratitude journal by the side of bed, will help to promote positive thinking before bed. Write down three things you are grateful for and take a moment to appreciate each thing before bed. This is your Sunday reminder that you can handle whatever the week ahead throws at you! I love these tips, I love a productive Sunday!